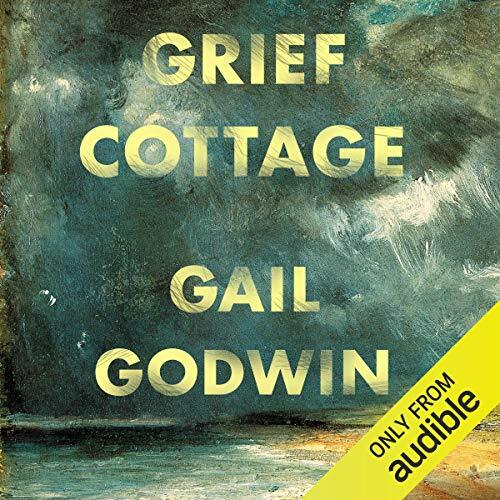 The haunting tale of a desolate cottage, and the hair-thin junction between this life and the next, from best-selling National Book Award finalist Gail Godwin. After his mother's death, 11-year-old Marcus is sent to live on a small South Carolina island with his great aunt, a reclusive painter with a haunted past. Aunt Charlotte, otherwise a woman of few words, points out a ruined cottage, telling Marcus she had visited it regularly after she'd moved there 30 years ago because it matched the ruin of her own life. Eventually she was inspired to take up painting so she could capture its utter desolation. The islanders call it 'Grief Cottage', because a boy and his parents disappeared from it during a hurricane 50 years before. Their bodies were never found, and the cottage has stood empty ever since. During his lonely hours while Aunt Charlotte is in her studio painting and keeping her demons at bay, Marcus visits the cottage daily, building up his courage by coming ever closer, even after the ghost of the boy who died seems to reveal himself. Full of curiosity and open to the unfamiliar and uncanny given the recent upending of his life, he courts the ghost boy, never certain whether the ghost is friendly or follows some sinister agenda. Grief Cottage is the best sort of ghost story, but it is far more than that - an investigation of grief, remorse, and the memories that haunt us. The power and beauty of this artful novel wash over the listener like the waves on a South Carolina beach. I finished this thinking that the author wasn't sure what kind of story she wanted to write. It doesn't work as a ghost story, although there is an attempt at injecting a supernatural element into the narrative. It is more successful as a character drama, but the characters end up being rather one dimensional. Too bad, because there is a beautifully rendered feeling of location, and the information about loggerhead turtles was wonderful. I enjoyed the first half of the book, but it lost its way and ended in an anti-climatic rush. I read Gail Godwin years ago and loved her books. I so wanted to like this as much but I was disappointed. Although her writing is very good, I didn't feel any empathy for the characters at all and I found Markus to be a totally unrealistic 11 year old. The plot also seemed a little contrived and there's no way this could be construed as a ghost story. Because I live on the coast, I thought the information about the turtles and the area itself would help keep my interest but it was so dry - almost like a brochure for the area. I did finish it, but just barely. Darn it. I wanted it to be more. The story is engaging and characters richly developed. Wraps up too quickly at end. This is an absolutely stellar book, with great characters! Each is so unique, they will grab your interest with each one you meet. The story keeps you on the edge of your seat with no boredom. I could read this author all the time, an absolutely new favorite author!!! Don’t miss this one!! this book Gail Godwin gracefully into the 21st century!!!!!!! she touched on the problem of parentless children drugs the economy just a wonderful read.